Home / General / Mad Coding & Housekeeping! I’ve been working on getting the Development Environment setup and coding over the last week. Doing things setting up the new file structure and weeding out coding errors with the old libraries. I’m about to fire up the ReactorForge and flash over the old code with the new! Then I will start moving the old chunks of commented code out of main.c and get the induction heater up and running with ReactorGraph to begin optimization and clean up of the working code. Also in the photo is a seven wire DIN connection I’m considering. 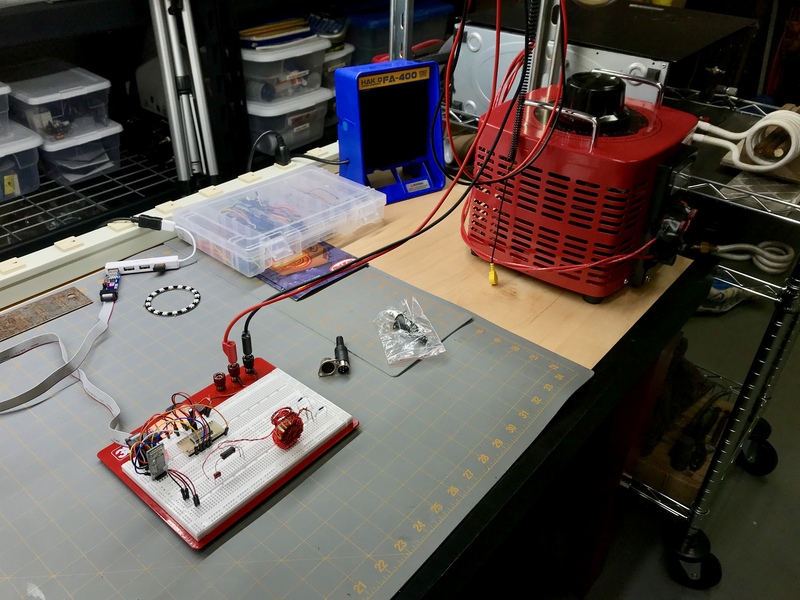 For simplicity, I initially chose a standard power barrel connector like this one from DigiKey, to connect the foot pedal. On the final model, I want one port to cover all the possible accessories, not just the foot pedal. One I’m most excited about is a DIY optical pyrometer to measure the temperature of your near molten chunks of metal. But that’s for after we tackle CriticalMass. On my way back from the break I listened to this book and wanted to share it. If you ACTUALLY WANT to work smarter, not harder doing things like coding for example, then I highly recommended you read or listen to this book. It is packed full of insight and detailed information on how to use your brain to it’s fullest capacity.